At The Zoo Health & Fitness, we believe in giving people options. That's why we provide so many different services for our clients. At The Zoo Health & Fitness, you can choose from any of the following services. 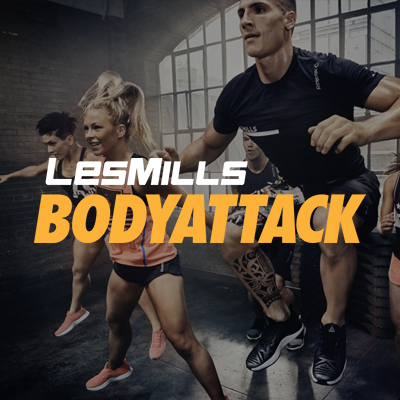 BodyAttack combines aerobics with strength and stability exercises for an high-intensity cardio workout for building strength and stamina. Are you ready for a whole new level of body-sculpting intensity? BodyPump is the fastest way to shape up, lose body fat, tone your body, strengthen muscles and boost your metabolic rate for rapid calorie burning. BodyStep is a high-intensity, high-energy cardio class that uses a height-adjustable step and simple movements on, over and around the step to shape and tone the lower body. BodyBalance is the Yoga, Tai Chi, Pilates workout that builds flexibility and strength and leaves you feeling centered and calm. Controlled breathing, concentration and a carefully structured series of stretches, moves and poses to music create a holistic workout that brings the body into a state of harmony and balance. Introducing the LES MILLS GRIT™ SERIES! This 30 minute High Intensity Interval Training will push your muscles, determination, and your will to the limit. Your reward? A totally transformed body. Our scientifically proven methods will build strength, endurance, and help you burn calories in a whole new way. Get ready for a whole new revolution in fitness, get ready for the LES MILLS GRIT™ SERIES.